These locks provide higher security than standard locks and have cylinders which are made with unique designs with harder materials. 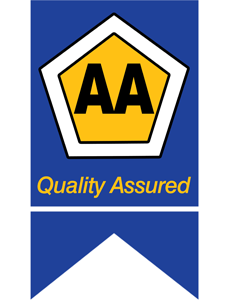 There are many locks on the market being advertised as high security, but only those that are given a high security rating qualify to be called high security locks. High security locks are very hard to manipulate and most of their design is based on the ability to resist forced entry. Whether you are looking to secure your home or business premises, there is definitely a high security lock out there to suit your needs. Take into consideration the area you live / work in, the type of business you run, how many employees do you have (Will you need to change passcodes/ keys often) etc. Once you have taken everything into consideration, choosing the correct high security lock for your premises, gets a little easier. High security locks provides extra protection, not only by making the lock cylinders more difficult to be mechanically broken, but also by a better overall key control. For a lock to be defined as a high security lock, the lock must prove to be more resistant to manipulation than a normal standard lock. High security locks does not only apply to mechanical locks, but can also refer to electromagnetic locks, digital access locks, finger print & biometric locks. While manual, key-operated locks are still the most common type of security device used to control access through doors, many companies and individuals are considering the wider spectrum of high security lock systems. Even though they have installed sophisticated electronic access control lock systems, the manual lock is usually still in use on most doors. In addition, many doors still have a manual lock on them that allows override using a key. High security locks are virtually ‘pick-proof’. These locks use special mechanisms that make picking extremely difficult, if not impossible. High security locks are also mostly drill-resistant. Protective measures can include the use of hardened metal cases, special hardened metal pins or disks placed in the path where the drill must penetrate and special metal shields to prevent attack on the lock itself. A characteristic of the high security locks is that there is some sort of material, design or other method used to increase the lock’s resistance to force or unauthorized breach for a certain amount of time. These locks and their keys naturally does cost more than standard lock systems, but in the long run, it will provide more safety and peace of mind. 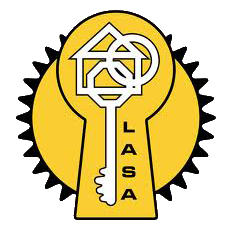 Keys for high security cylinders CISA SP (Security Profile) will only be duplicated with owner of the locks written authorization. We keep on record details of the owners of each high security lock we sell. Amongst those clients are not only several embassies & consulates, but also everyday people for who security is important.